An Introduction to BLDGBLKS Music Company! BLDGBLKS Music Company is building quite a lot in Colorado. BLDGBLKS Music Company is proud to announce our recent partnership with BolderBeat! We are a Denver based music company creating sustainable careers for our clients in the entertainment industry. We specialize in artist development, artist management, guerrilla and digital marketing, social media strategy, content creation, and consultation. Our clientele includes: bands, artists, music businesses, lifestyle brands, and more. We are located in a secluded estate in Lakewood, CO, and share the space with The Spot Studios. The mansion-turned-recording-studio is unique in its design and is home to state-of-the-art recording technology. Our team is comprised of experienced artists, engineers, producers, web developers, designers, and event organizers. We know what it is like to be faced with a challenge that seems impossible to overcome, and we work with our clients to create a plan that fulfills their vision. Amy Kress (Contemporary Electronic Pop): Canadian-born singer/songwriter with a powerful voice. Her debut album Secret Music is a collection of heartfelt soul and humor that makes Amy’s music a unique listening experience. She also just released a video that BolderBeat featured. 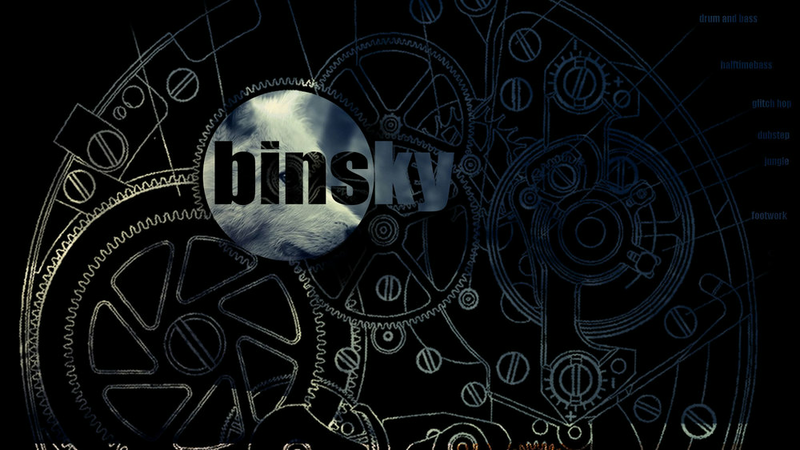 Binsky (Drum & Bass, Jungle, Glitch-Hop): Bending and chopping sounds is what Binsky does best. He visualizes sounds and sculpts them into textured works of art that will keep you moving and grooving. You can listen to his most recent projects here. Mawule (Futuristic R&B/Soul): Born and raised in Accra, Ghana, a background in gospel choir led Mawule into the music world. His refined ear and ability to communicate messages in a catchy, relatable way are what hold the integrity of Mawule’s music. Check out his discography. Sam Hozdulick (Indie Blues Rock): This LGBT singer/songwriter’s unafraid voice touches on topics such as love, heartache, and resilience. Sam’s sophomore album is in the works and will be released soon. Check out the single “Good Thing” for a little taste. Signs and Signals (Pop/Rock Alternative): With heartfelt lyrics and a collective energy that oozes, Colorado's own Signs and Signals are a blast to watch perform live. Their music is fun, high-energy, and is sure to make anyone get up and dance. They’ve also been featured on BolderBeat before. Skytown (High Energy Acoustic Rock): Hailing from Tulsa, Oklahoma, this rock group mixes clean tones, soothing lead vocals, and funky beats to form a beat impossible not to dance to. Check out the styles of this six-piece here. The Jacob Cade Project (Hard Rock): This seventeen-year-old rocker derives his influences from Jimmy Page, Slash, and Jerry Lee Lewis. His electrifying stage presence and immense guitar talent makes him an artist you ought to keep an eye on. Take a listen for yourself. So be on the lookout for our weekly Tuesday postings with BolderBeat! We will be bringing you the latest BLDGBLKS news about our artists, upcoming shows, album releases, and promotions. For more information about BLDGBLKS Music Company and the artists we work with, please visit our site.